Dang it, Ally, reading you always makes me hungry! Now I have to go find something to snack on. Wow, the newspaper brought back all those memories? I loved the comics too but then The Far Side retired and I lost interest. Although the dotted lines in the Family Circle was always interesting. I don't read the news paper! Thanks for visiting my blog. Im now following back. I hardly read any news from the Newspaper. I mostly look at the entertainment or the Comics section. I often do the Crossword too. So hungry for a bagel and schmere right now you have no idea. BTW...you are a celeb in my eyes!!! 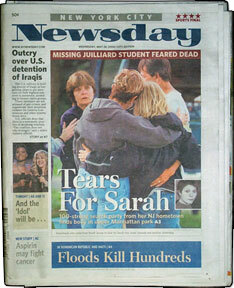 I used to love reading Kidsday in newsday. To think, I now know the star reporter. Awesome!!! What a sweet memory. I suspect the newspaper and bagels pale in comparison to the whole family gathering to share the ritual! Thanks for linking to me and for your sweet note on my last post. Newspapers continue to shrink...It's the change in how we communicate and get the news- Internet! Calvin and Hobbes, baby…need I say more? Okay, The Far Side was a great one, too. I was the editor of my college paper for a bit, and true to youth's narcisitic ways I really only ever read what I wrote. :) I will still grab the comics if I happen to be at my parents house on Sunday. My dad is a three papers a day kind of guy, so there are always some around. I used to love Sunday morning comics. Actually, I can't believe how enthusiastic I was about them. It's kind of weird. I used to love the comics section, too. :) You have a knack for drawing out cravings in me.....bagel.....I don't know how long it's been since I've had one...and yours sounded delish! P.S. Did you ever get your pot rack? I used to be an avid newspaper reader also. Then for my first job out of college, I actually worked as a designer for the newspaper here for 5 years. It was cool getting to know the inner workings of the paper my family and then I had been reading for so long. Unfortunately, so many papers are on the way out now. Everything is going online. It makes me a little sad. Thank goodness for our memories! I love these stories and walking down memory lane! So much fun. I can't remember the last time I had a bagel...sounds good. I'm looking forward to tomorrows video blog! YAY! When I lived at my uncle's up in a small ontario town my weekly ritual was sunday morning hitting the local convenience store for a paper and a raspberry ginger ale. It was a simple pleasure. You've given me a bagel craving now - haven't had one in a long time. We used to get good ones at the bagel shop in Clark. I still love reading the Sunday paper. Haven't really read the comics in many years though. Favourite section - Entertainment. I have a bottle of mocha frap and a banana as I'm reading it. I would say my history of newspaper reading was pretty much the same. Except I'm addicted to real estate anything, so toss in that section, too. I hardly ever read a newspaper during the week, but there's something about Sunday mornings, they just always feel better with a latte, a croissant and the Sunday Times. I only buy the Wednesday paper and only for the TV guide. I'm not really a newspaper person, I get most of my news from the Internet. Living in NJ all my life, bagels are and have always been, a food of comfort, joy, celebration, sorrow you name it. Funerals, parties, daily breakfasts. We used to get lox at my fathers house, with our bagels. My fave bagel is an egg everything. Egg bagel with every type of seed and spice available. Oh and to the gal above who says beverly cleary rocks...Ramona and Beezus is coming to the big screen july 23rd! 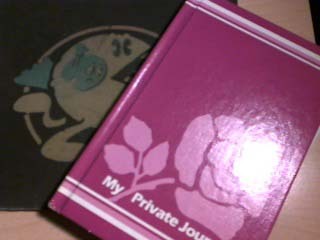 Me and my mom are going since we both grew up on the books. Sweet! Good to know Pika23. Thanks! Have you ever been to Sands Point? Those homes were originally owned by the guy who started Newsday. Interesting tidbit for ya. 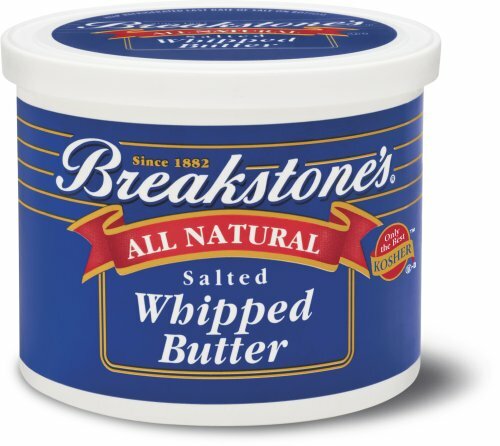 I love breakstones butter on my baggles. mmmmm I also miss that comic strip. I actually have a doll of him somewhere in my childhood bedroom.